Remember when television was filled with your favorite scripted shows before reality tv took over the networks? Well a hit television show could be coming back to the airwaves in the near future. 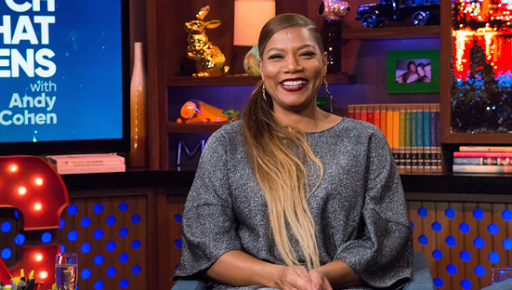 Rapper turned actress Queen Latifah was a guest on Watch What Happens Live w/ Andy Cohen recently & she revealed that a Living Single reboots is in the works. A viewer called in & asked if Latifah has ever thought about reviving the 90's sitcom, she replied, "funny you should ask. We're actually working on it. It's not there yet, but hopefully we can get it happening." She went on to add that "the goal" would be to have all of the original cast member to be apart of the reboot. For those of you who don't remember, Kim Fields played Regine Hunter, Kim Cole was Synclaire James, Maxine Shaw was played by Erica Alexander, John Henton played Overton Wakefield Jones & T.C. Carson was Kyle Barker. Living Single was on the air for 5 seasons from 1993 to 1998.